College 2017 Awards Recipients with Minister Cortes. 'Steps' - Winners of the Young Enterprise 2017 financial award. College staff at the 2017 Awards Ceremony. 'Fusion' - Young Enterprise 2016 team. Valentine's day fund-raiser stall for Nazareth House. A-Level Psychology students at a Conference. Display of works by College Art students. Staff participating in mental health awareness day. Students achieving First Aid certificates. Students at atrium of EU Council building in Brussels. L3 Extended Certificate IT Students. The College offers a range of full-time courses for different ability ranges and accreditation; from Foundation courses to A-level courses. 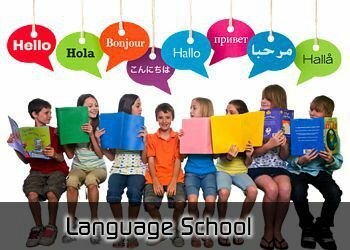 Do you want your children to be able to speak a new language? These course teach children how to exchange information in simple everyday situations in an enjoyable, friendly learning environment. 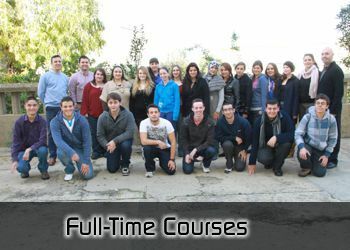 The Gibraltar College today delivers academic, vocational and professional courses. We are also a major accreditation centre for UK's main Awarding Bodies and professional institutes including the co-ordination of Government NVQ/QCFs Diploma/Certificate levels in training programmes for the public sector. 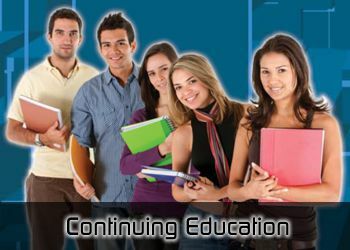 Our aim is to be the specialist provider of excellence in continuing and further education. We are committed to being a strong, successful educational community for the post-16 age group, offering broad programmes of study to prepare students for Higher Education, the world of work or to support professional development. We also develop in each student an enjoyment of learning, promoting a culture of lifelong learning. We encourage and promote tolerance and respect for others at all times within a caring and supportive environment. As a community we aim to develop and build upon practices and policies which provide equal opportunities and rights for all, regardless of perceived ability or disability, gender, sexuality, creed, racial group or social class. As Principal, I have great pleasure in welcoming you to the Gibraltar College website. Whether you are currently a full-time student wishing to further your education or a mature student seeking professional development or wishing to gain additional qualifications, we may just have the course you are looking for. Our range of academic, vocational and professional courses is designed to help you gain access to higher education and/or employment as well as improve your career prospects. We are a major accreditation centre for some of the UK’s main awarding bodies and professional institutes as well as an examinations centre. The academic and vocational courses on offer will provide an opportunity for you to continue with your education, learn new skills and increase your chances of progressing onto higher education or finding suitable employment. Our professional qualifications in Management are ideal for those wishing to study more specialist subjects. These courses will help you develop professionally and provide much sought-after qualifications which will make you more competitive and widen your career opportunities. In addition, our Continuing Education programme offers a variety of subjects where you can learn new skills and meet like-minded individuals. Whichever course you choose, we have an excellent team of highly dedicated teachers committed to supporting you. Here you will find a friendly and purposeful atmosphere where positive learning is promoted at all times. We aim to work with and for the community and as an equal opportunities educational establishment, you are all welcome to join us. Please browse through our website to see what is on offer.